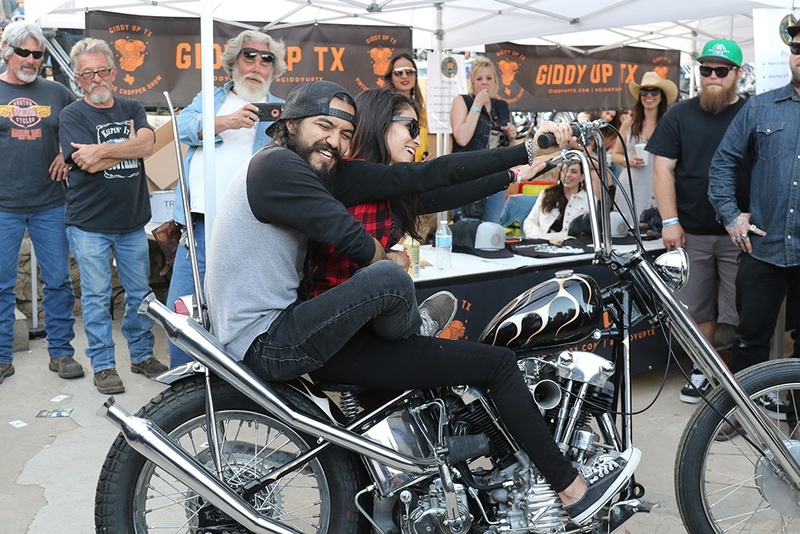 Bikes and BBQ at Giddy Up Texas! Bikes, BBQ, and Lone Stars in the Lone Star State. That's Giddy Up in a nutshell. 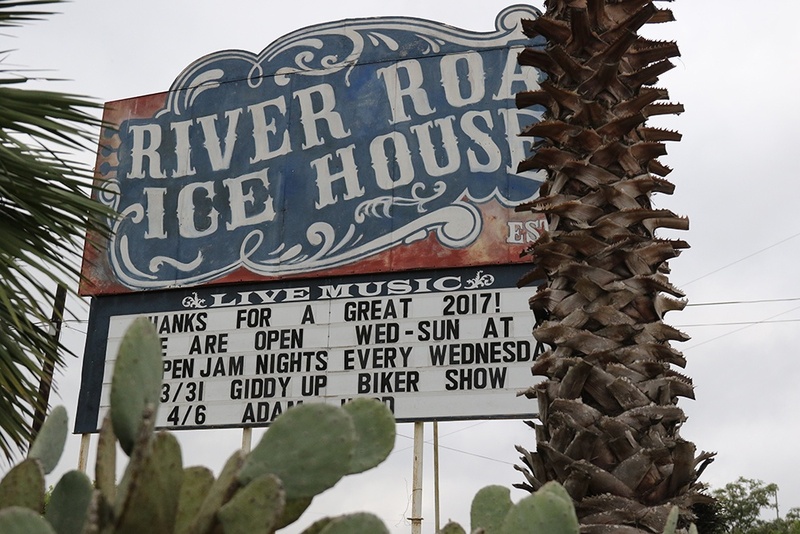 In it's 5th year, outside of Austin in New Braunfels, Texas, there is a music venue known as the River Road Ice House. Down a tree lined, curvy road off the main highway, out past some great BBQ joints, it's in a perfect setting. Just past that lies the river itself and the campsite where most show-goers choose to sleep.. or party. Usually a mix of the two. I want to say this ain't my first rodeo, but it is. This is my first time at Giddy Up, and I've long heard the tales of this show, so I was excited for this one. I headed on down to the area on Friday, the day before the show, to get my borrowed tent set up at the campsite. Slowly bikes rumbled in, and tents, hammocks and lean to's were assembled. Riders of all sorts came to party the night before the show, and motorcycles lined the dirt roads around camp. My friends and I headed for the local BBQ joint where they slapped some brisket on a tray and called it the best lunch I've had in a while! I didn't have a bike to ride, but fortunately had some friends with spare room - from a p-pad on a tractor like knuckle, to a queen seat on a shovel, and a Crazy Frank backseat - which allowed me to ride along and shoot some great photos! Shortly after, we hit the pre-party at Gruene HD® where my coworker Scott had a setup of S&S parts with the local Drag Specialties reps. Free Lone Stars and tons of bikes, it was a great party and a sign of the fun to come all weekend. The last thing I heard before finally falling asleep that night was someone yell "The stars at night, are big and bright... " with a resounding response of "DEEP IN THE HEART OF TEXASSS!!" The next morning, bright and early I hitched a ride on the back of a Sporty chopper over to the show and watched as the vendors set up booths and the show bikes rolled in. The show bikes this year ranged from long chops to short 60's style, a girder equipped Sporty, and more. My friends from Dream Co Cycle Supply brought out a killer shovel, and also brought along Jace, from Iowa, and his "Vacation Forever" shovelhead, with our black Super E carb, Crazy Frank fender and quite possibly the most fun paint job I've ever seen.. that matched his and his lady's hawaiian shirts! Even better, the tattoo arching across his stomach underneath reads "CORN FED". Last year's giveaway bike by Joey Cano sat looking peachy, alongside bikes from Majik Mike and so many more. Many more vendors and bikes lined the "backyard" of this great venue, including Cheap Thrills and Oliver Pecks chops, Heavy Clothing, Stag Mag, Helmet Division and Primo's Helmet Design, Danger Dan, Chemical Candy Customs, a few vintage shops, and more. Everything from flatheads, to knuckles, shovels and HD® Sportsters® lined the grass and stretched for what seemed like miles up the roads surrounding the Ice House in every direction. JP Rodman's new survivor trike made quite the impact, rocking original mudflaps and crazy vintage lights! 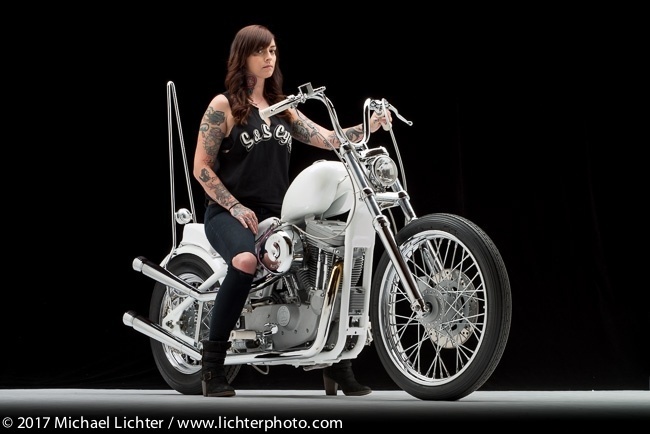 Matt Jackson built a giveaway knucklehead, which at the end of the show was won by a great gal named Heather, who did not disappoint with her reaction! Her boyfriend hopped on the P pad of her new bike and looked ecstatic. Pretty cool to see her win! Y'all better check out this show next year! And don't forget to follow our Facebook and Instagram for live coverage and videos! It's not Texas without some two-steppin!